The end of the year is all about lists. Best moments this, memorable moments that from the 365 days that just passed us by. We wanted to get in the mix and present the best sports fans from 2013. We had a bunch of people in mind. Great GIFs of people being weird at games. Then we remembered the fan from the Washington State football game in September and realized the list starts and stops with him. Including anyone else on this countdown would just be disrespectful to the greatest man in the history of men. 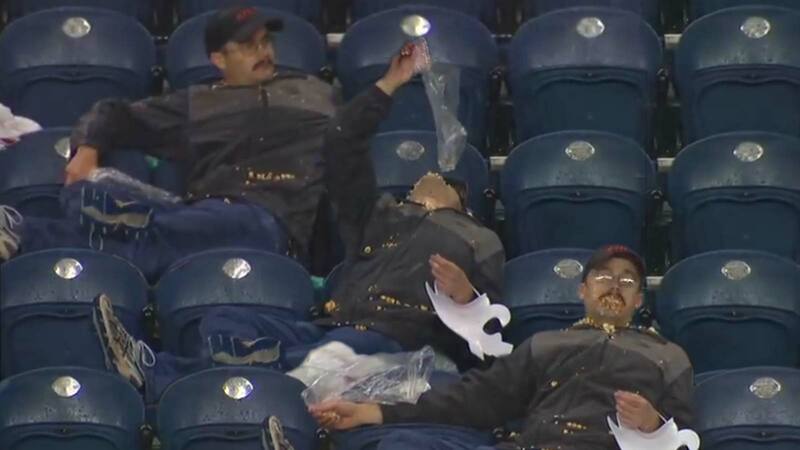 On a rainy Saturday night in Seattle, a man sat (or lounged around) by himself at CenturyLink Field and enjoyed a bag of popcorn like nobody has ever enjoyed a bag of popcorn before. It was his world and we were just living in it. He taught us all that at some point in our lives we just have to stop giving a heck and do whatever we feel like doing. No matter where we are. No matter how bad the weather is. No matter how many TV cameras might be around. Relive it all in video form below. But before you hit play we suggest you do the right thing and go make some popcorn, then spill it all over your face while yelling Happy New Year. Happy New Year, everyone. And by everyone we mean popcorn guy.